Guadalupe Peak rises 8,739 feet above the Chihuahuan Desert. As the tallest point in both this national park and in Texas, if you are willing to make the hike up to the summit, you'll be rewarded with a magnificent view. Below is Texas' 8th tallest peak, El Capitan. 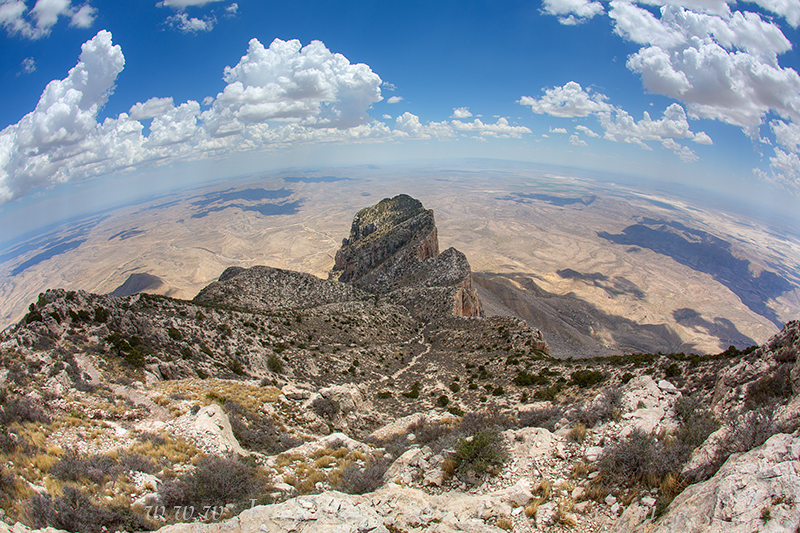 This photograph was taken with a fisheye lens and offers nearly a 180 degree view of the west Texas landscape. Photo © copyright by Rob Greebon.